Timekeeper terminals are supplied with a free very basic Attendance software for as little as £195 More details Timekeeper terminals are also designed for use with our Paid for Primetime Web Hosted cloud based Time Attendance system as such you will need to have an active account in place to use these terminals with this service. 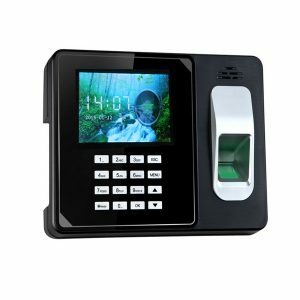 The terminals are available with Fingerprint Biometric option and RFID card reader option as well as also having a PIN option should it be needed. Wall mounting plate & desk top stand. If you are Adding The Timekeeper to your Primetime web account Terminals when purchased will be connected automatically to your Primetime web account if you have one, so please use the same contact details as your account is set to when ordering your terminals. There is a charge for these terminals to be added to your Primetime web account and this will be included in the order process which will create a subscription for the terminals. The Ultimate Biometric Identification solution incorporating Fujitsu Palm Secure reading technology offering optimum levels of security. The Allday PalmReader terminal works by detecting the structure of the pattern of veins inside the palm of the human hand. 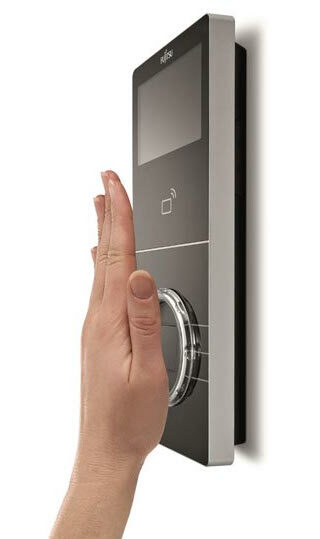 This contact-less, hygienic system offers maximum security as well as maximum precision. Spoof Proof – Palm veins are complex and stable and being inside the body are difficult to forge. Only a live palm will be read by the technology thus preventing spoof attempts. Palms can be dirty greasy sweaty cut or damaged and still be usable. Left or right hand can be used. The Palm Secure technology has been tested using collected data samples of 140,000 palm vein patterns to verified reliability of the palm vein authentication technology for recognition accuracy and rate of applicability. There were no cases in this data sample for which the technology was not applicable, demonstrating its high rate of applicability. This compares to typical fingerprint unsuitability of between 3% and 5% of population who cannot use a typical fingerprint reader reliably. Minimizes hygiene concerns during scanning as the scanning of the palm vein pattern is completed in mid-air without the need for the user’s palm to touch a surface. 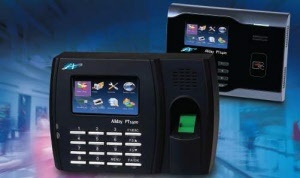 The PR6000 PalmSecure terminal is a modern biometric terminal. 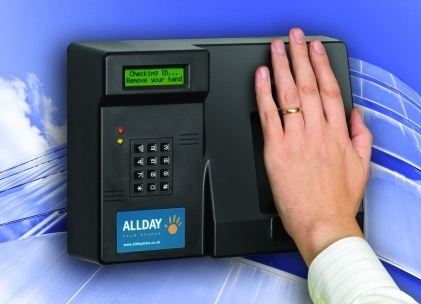 It is for door access control or for personnel to clock in or out by use of their Palm, using the same Fujitsu palm vein reading technology as the Palm Reader 1000 terminal. 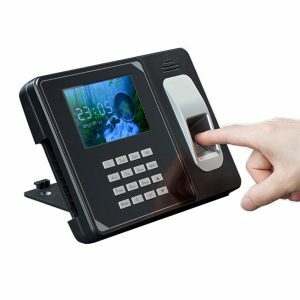 The PT1400 attendance terminal is a modern terminal allowing personnel to clock in or out by use of Fingerprint or keyfob tokens or credit card size cards with embedded RFID identity chips . The terminal can also identify the users with a password PIN. Colour display and audio indications on clocking in/out. Can be used as pin entry device. Connected via TCP/IP to your network. Memory stick -Collect data manually if no network wiring is available using a memory stick (useful for remote or dispersed sites). Physical Features: ABS VO housing, Waterproof and dust proof to IP55 rating. Dimensions 150mm x 85mm x 35mm. Wall mounted with integral back plate.